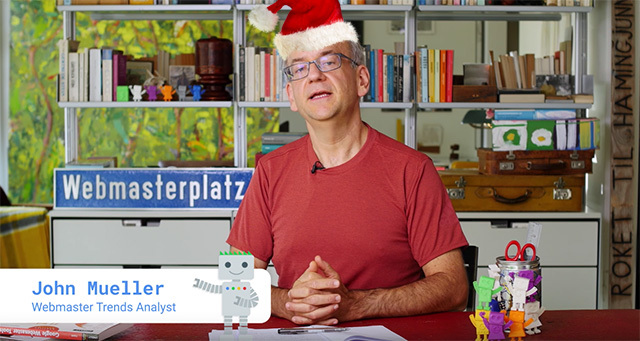 It is like a Christmas tradition for John Mueller, a Google webmaster trends analyst, where he comes in on Christmas, sometimes Christmas eve, sometimes Christmas day and sometimes both, and looks to help those webmasters looking for help with their Google webmaster related issues. He has done it in 2016, 2015, 2014, 2013, 2012, 2011, 2010, 2009, 2008, and 2007. It is something special to see. Why do not I have the same status on the english forum as on the french forum? How to stop Indian traffic? Thanks John and the whole webmaster analyst team for everything you guys do to support the SEO community. I know we often act like we don't appreciate it - but we really do. Thank you so much. Forum discussion at the links above.